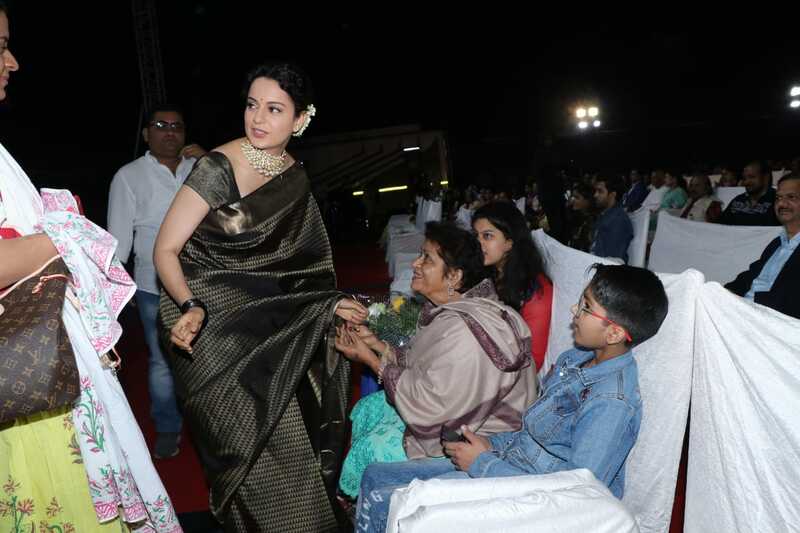 Kangana Ranaut was seen promoting her movie 'Manikarnika - The Queen Of Jhansi' at an event in Mumbai. She was looking regal in an ethnic gold and black saree. 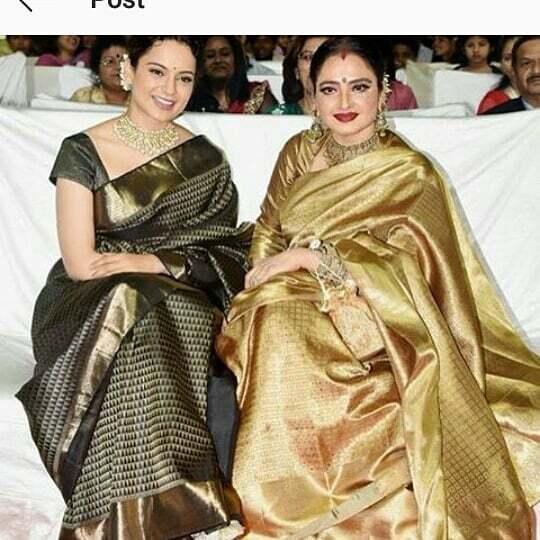 The saree is special for the Diva as it was gifted to her by none other than the Hindi film industry's evergreen diva Rekha. The actress, who is known for her sense of style, was looking resplendent in the saree. She accessorized the look with a pearl necklace and a gajra in her hair. She completed her look with an eyeliner and tangerine lipstick with a small black bindi and jewels from Anjali Bhimrajka Fine Jewels. The actress was seen bonding big time with the eternal diva at the event and the stunners shared the same frame makes for an epic picture. Kangana's film 'Manikarnika: The Queen of Jhansi' is all set to release on January 25 which will see her playing the titular character.